I can’t express just how pleased I was with their services. Richard was great! Thank you for making my sons prom memorable. The vintage rolls sure was a head turner! 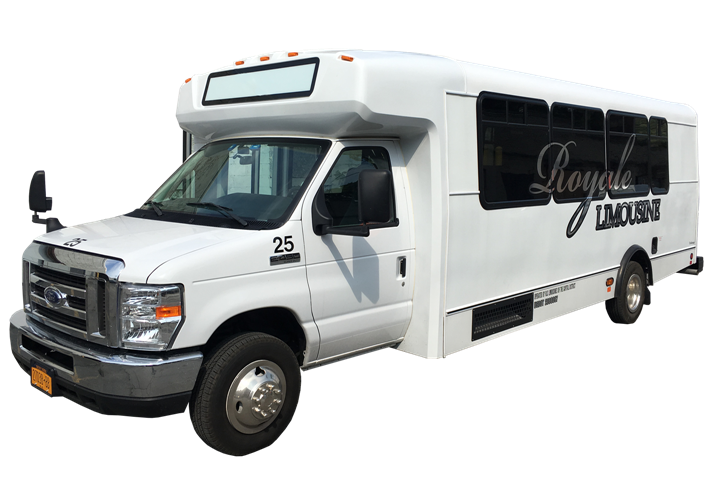 We used Royale Transportation for our large wedding party and family in Saratoga Springs. On the most special day of your life , Royale Transportation made everything so smooth and effortless. They were not only reliable, but extremely friendly and helpful to me and everyone in my party. I am from out of state and appreciated the fact that I was able to communicate and organize my special day over the phone and email without any difficulty. We rented several limo's, a party bus and a Rolls Royce. All the vehicles were clean and beautiful. I have since used them several times when hosting other events in the area and have always had a great experience. Thank you Advantage! Highly recommended! We rented a trolley from Royale Transportation for our wedding. Before we finalized our contract with them, we got a full tour of all the vehicles and assurance from the owner of their professionalism and dependency. All of their promises were fulfilled – they were on time, the driver went above and beyond (serving champagne and even fixing my train before I walked down the aisle). The vehicle was nicely decorated and in fine working condition. We are very happy with our choice for transportation for our big day – and highly recommend them to others!